For this week's Tyler Florence Fridays recipe, I chose meatloaf. While searching for the recipe online, I discovered that there are two nearly identical meatloaf recipes of Tyler's floating on the Food Network's site: Dad's Meatloaf with Tomato Relish and Country Meatloaf with Tomato Relish. The recipe that I've had for years is actually the latter. The main differences seem to be the inclusion of torn bread, milk and bacon in Dad's but not Country. I mentioned that I've had this recipe for years, and it's true. What's fun about this one is that I have it handwritten on a recipe card, not printed out like many of my more recent recipes, and that it's actually in D's handwriting (which admittedly, makes it a little (lot) harder to read...). He was the one that saw the episode of Food 911 that it was featured on and wrote it down. He's quite fond of this recipe actually! 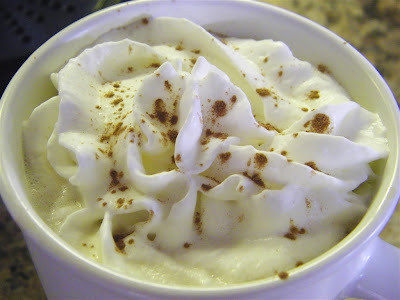 The recipe involves a little bit of work, but really the end result is worth it. You start by making the tomato relish, cooking onions, garlic and bay leaves until the onions start to carmelize. Next you add in some bell peppers. The recipe calls for red bell peppers, but the grocery store had none, so I substituted orange and yellow ones. Instead of using fresh tomatoes, I actually chose to use canned diced tomatoes this time. 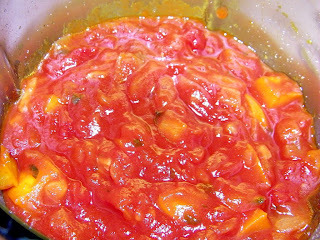 After letting the vegetables soften, you add ketchup and let it heat through. You could certainly make some substitutions here if you have an aversion to ketchup. Now, this is where I deviate from the recipe somewhat. 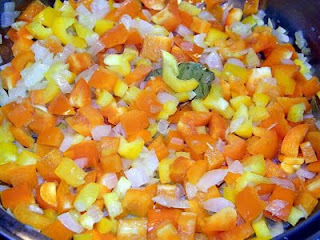 At this point, I actually puree the relish, making it more of a sauce (be sure to remove the bay leaves first!!). See, if I left the vegetables all chunky in there, Sean wouldn't touch it with a ten foot pole. But by pureeing it first I can tell him I made my own "ketchup" for it, and all is (relatively) well in the world of picky eaters. This is prior to pureeing -- see the lovely chunks of veggies? And after pureeing. It's more orange than usual because of the bell pepper choice this time (orange and yellow instead of red). When making the meatloaf, I also deviate slightly from the recipe. 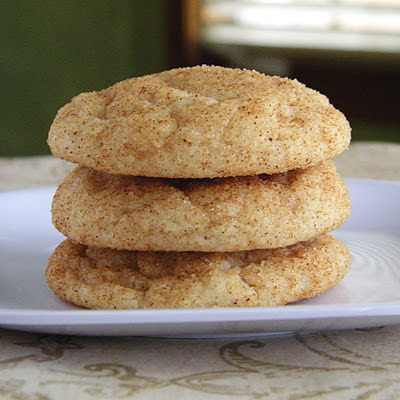 I add some fresh bread crumbs to the party (I just take two slices of bread, crusts removed and whir them up in the mini food processor or the blender). I also only used two eggs instead of three. Everything else was the same, except that once again I had no fresh thyme so substitued dried instead. We were so excited (and hungry) by the time it was ready that I didn't have a chance to make a nicely styled plate for pictures. Oh well, this picture is more "keeping it real" with the overflow onto the baking sheet and everything!! We like this recipe because the meatloaf stays moist and has a lot of flavor. Even Kade ate some of this, and he's not a big meat eater. 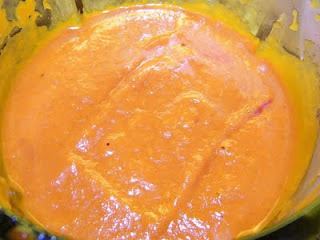 Perhaps if I had pureed the sauce, my kids would have liked it more! Sounds like a tasty meatloaf. Mmm I need to puree the sauce for my 50+ year old picky eaters! Looks good...I like your "real life" pictures. So happy that everyone loved it! It looks like it would be really moist and good and I love the idea of pureeing the sauce. I am not sure I will use this for my choice for Friday but I plan to make it during the week. 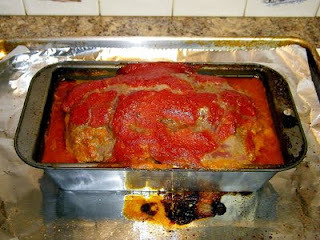 I am not a great meatloaf eater - hubby is but you made it look so tempting, I want it NOW. I am back to report in on my meatloaf. I don't think I am using it unless I don't have time to make something else. That meatloaf is the best I have ever had. Granted, I am not a meatloaf lover but I could become one with this meatloaf. The topping added a lot to the meatloaf and that it was also inside the meatloaf made it even better. I am glad I saw this when you originally posted it. My husband got a dinner he wanted. Thank you for the comments everyone!! comfycook -- I'm so glad you liked it! !